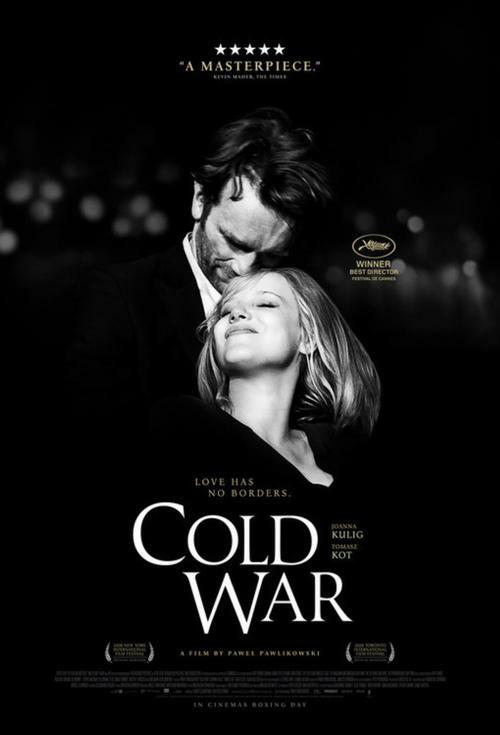 Nominated for the Academy Award for Best Foreign Language Picture, this passionate love story from director Pawel Pawlikowski stars Joanna Kulig and Tomasz Kot as a couple who meet in the ruins of post-war Poland. With vastly different backgrounds and temperaments, they are fatefully mismatched and yet condemned to each other. Set against the background of the Cold War in 1950s Poland, Berlin, Yugoslavia and Paris, it’s the tale of a couple separated by politics, character flaws and unfortunate twists of fate — an impossible love story in impossible times. GUEST SPEAKER: Join us for an introduction on opening night this Friday February 8th at 7:45p with RICHARD NEUPERT, a Distinguished Professor of Film Studies who teaches cinema history and criticism at the University of Georgia, and is also a member of AFAI's board of directors.